Traditional craftsmanship with attention to detail. 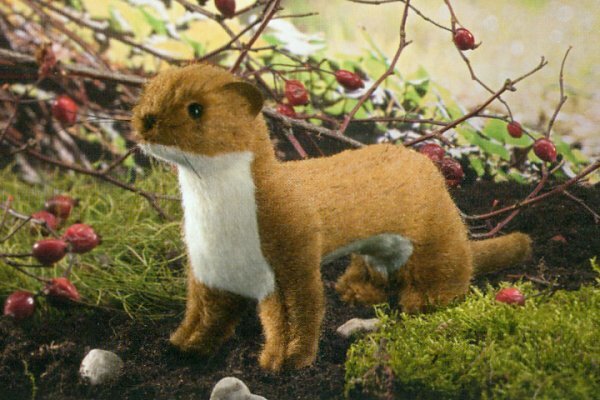 This wonderful Least Weasel is handmade in Germany by Kosen using the finest materials. The Least Weasel is the smallest of weasels and among the smallest of carnivores. He is native to Eurasia, North America and North Africa. Despite his small size, the least weasel is a fierce hunter, capable of killing a rabbit 5-10 times his own weight.